Heat pumps transfer the heat that is in the surrounding air to your pool. They provide the most energy efficient heating for pools and spas in regions where they are practical. Compared with other heaters, they can operate for up to 80% less. 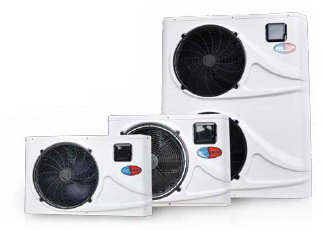 EVO heat pumps are designed to operate in the Australian climate. 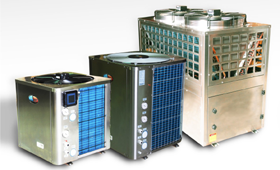 They offer a highly efficient heat option for the special demands of Australian pools, regardless of size. They can be used on new and existing pools. The new Force 600% efficient pool heater range that will have you swimming nautical miles beyond the competition. We don’t offer budget units that will fail a few years down the track. The Force Series is built with high quality components from leading brand manufactures in Europe and Japan and designed to perform 365 days of the year under our harsh Australian conditions. Force by EVO pool heaters are built to last and backed by an unprecedented warranty of 15 years on the titanium heat exchanger. Enjoy your pool at any time of year, with the most powerful domestic pool heater on the market. It’s up to 600% more energy-efficient than other domestic pool heaters, and can save you the equivalent of a holiday in Europe each year. Compact: Easily installed into small spaces. Quiet: Forget it even exists and enjoy a lovely heated pool any time. Economical: Up to 600% more energy-efficient, compared to other heating methods. Responsible: We use zero-ozone-depletion rated R410a refrigerant. And we’re registered under the Australian government’s Ozone Protection & Greenhouse Gas Act. Safe: There are no flues or barriers needed, and it won’t burn little fingers. Flexible: Able to be fitted to new pools or retrofitted. Olympians, water waders and facility managers will adore the CS Series. 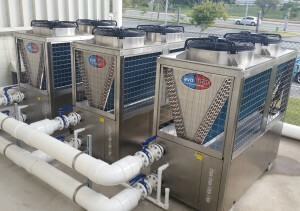 A tried and trusted commercial pool heater that’s able to save businesses tens of thousands a year. Six different heaters with ranges between 38kW to 200 kW. Custom options to 1600 kW. Double coil titanium heat exchangers for optimal performance. A chassis with Electrophoretic Epoxy Plus powder coating, for optimum corrosion protection. Stainless steel alternatives are also available.